We are opening registration immediately following church on Sunday April 28th for the 12th Annual FUSIT Unirondack Labor Day Weekend (Friday, August 30-Monday, September 2)! Our congregation filled the camp to capacity once again (with 100 in attendance). This continues to be a … read more. Register now for the AIDS Ride for Life! REGISTRATION for the 21st Annual AIDS Ride For Life is open. Save the date! AIDS Ride For Life will take place September 7, 2019 and is a fully supported 102, 90, 69, 42, 25 or 14 mile bike ride beginning in Ithaca, NY. You can pick … read more. and/or travel to … read more. Come join UUs from across New York for a day of worshipping, learning and connecting! The young people from Margery Stoneman Douglas High School in Parkland, FL, … read more. Hello everyone, and thank you! Thanks to your generous donations we collected 90 packages of menstruation products. Among these were 48 packages of pads, 36 packages of tampons, 4 menstrual cups, and 2 packages of menstrual disks! This is a wonderful turn out and they … read more. Thank you so much to everyone who donated children’s books last month for our side with love collection. We collected over 250 books! This will allow Golden Opprotunity, a local Not for Profit that provides academic support and mentorship to so many children in our … read more. All that totals up to 176 donated items. What a … read more. 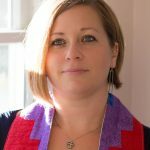 Please join us in giving a warm welcome to our new Congregational Administrator Jessica English. Jessica is thrilled to be joining the FUSIT family. A life-long Ithacan she loves to share her knowledge of this great city with those she meets. She had been a … read more. REvision the future of FUSIT! This January First Unitarian Society of Ithaca is taking an exciting step in religious exploration: a visioning weekend with Kim Sweeney. But what is a visioning weekend? And who is Kim Sweeney? Kim Sweeney has worked for over two decades as an educator and wrote the … read more. Unitarian Universalism believes that all people are worthy of love and that as people we must side with love–unconditional, universal love. The UUA’s campaign “Side with Love” was designed to help us express this belief. In our congregation, this has taken the form of our … read more.